Harris-Stowe State University is committed to improving graduation, recruitment, and retention rates of African-American males at our beloved institution. The aims of the living learning community are to connect likeminded scholars in a structured environment that is strategically designed to cultivate continuous academic progress via mentoring practices, accessibility to professors and resources, and participation in an array of empowering, enlightening conferences and workshops. This living learning community is specifically for first year residential freshman males that share two or more classes. Spacing is limited as it is comprised of seven total four man occupancy suites in Bosley Residential Hall. Participating in exclusive events featuring nationally recognized public figures. Cultural and field experiences beyond the classroom resulting in higher grades and chartering a solid destination to graduation. 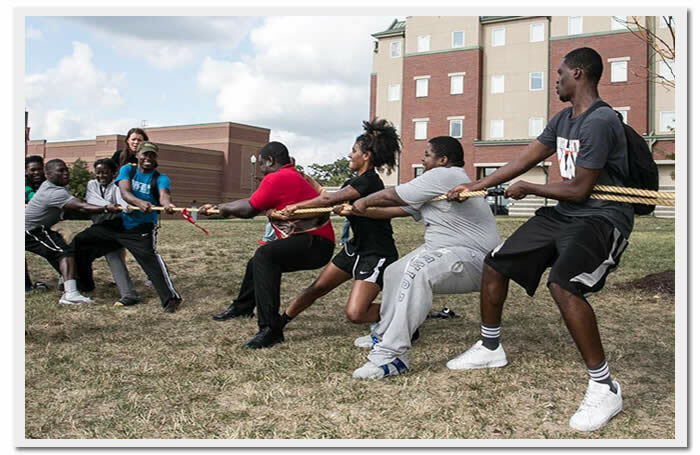 All members of the Minority Male Living Learning Community must meet the following expectations and requirements: All members must maintain a 2.0 cumulative grade point average and a 2.0 semester average Also members of the community must attend at least 50% of all meetings and other required events per semester to remain active members of the community. Failure to meet these requirements will be grounds for probationary status and or expulsion from the community depending on the severity of the offense. Members will establish productive, positive interpersonal relationships with staff, faculty, peers, LLC community members, and community near and far. Members will develop key leadership skills & characteristic traits that will assist them in accomplishing career and collegiate goals. 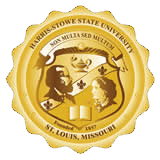 Members will serve as an example of what a Harris-Stowe State Scholar is at all times to all people. To receive priority consideration for the program, please complete the application and submit to dreams@hssu.edu.